Some fathers are really good at expressing their love to their kid. Some choosesto hide their candid love but commit to take actions. No matter what kind of fathers, now it is the time for you to show your love to them. Father’s Day is right the moment when you can express your love and gratitude to your father. Catch it and make a difference on Father’s Day. How about preparing lovely father daughter country songs when you present your gift to your father? Isn’t it quite romantic and sweet? You have no idea about father daughter country songs? Don’t worry, today, I will lead you to learn some country songs about dads. It is also a good idea to dance with your father on Father’s Day with the rhythm of country songs about dads. Father’s Day is a perfect time to play some country songs about dads. Now why not read through the list of country songs about fatherhood. Father’s Day is around the corner. 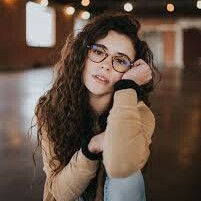 Some daughters might have a really good father in her life and even they set their father as the example to select their husband. It is so lucky for these daughters to have such kind of fathers. We already learnt country songs for dad lyrics above. Now let’s learn some daddy’s girl songs. Here list 10 daddy’ girl songs for you, please take a look. If you want to download Father’s Day songs online but are restricted to the copyright, you can rely on Leawo Music Recorder. 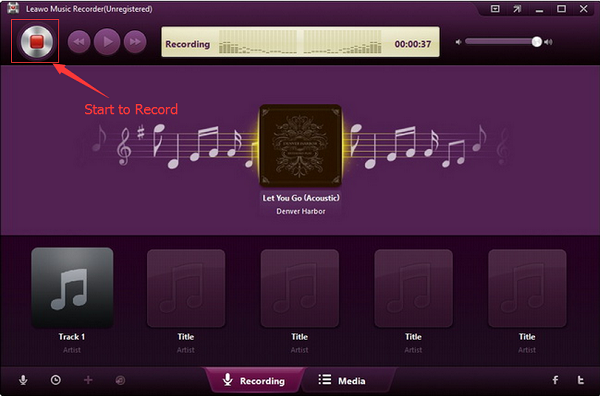 Leawo Music Recorder enjoys a very clear and modern interface. It is able to download any songs from computer disk, microphone and online websites like Spotify, Facebook, YouTube, Ganna and so forth. If you want to trim a section of song, you can also adopt this tool to actualize it. Besides, this wonderful music recorder can automatically filter noises and enables you to enhance sound quality by changing bit rate and sample rate. In addition, you can also edit music tags like year, album, artist, etc. if you don’t like the music tags being automatically downloaded. Click on the little microphone icon to activate the settings interface. You can also click on the drag-down button in the top left corner to enter the settings interface. Since you need to record online songs about being a dad, you can choose “Record Computer Disk”. 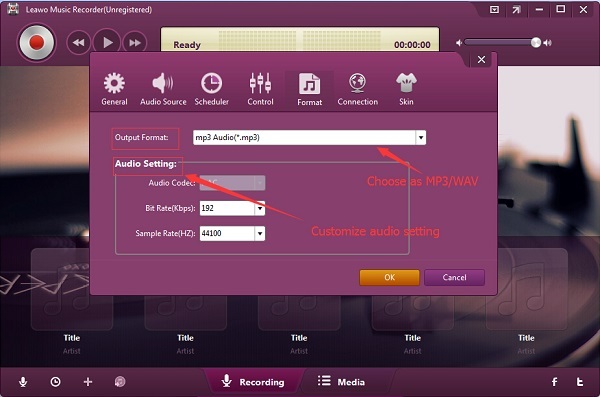 Go to “Format” at the top to choose MP3 as the output audio format. In the “Format” page, as I introduced the above, you can also increase bit rate and sample rate to enhance sound quality. Navigate to “General” and click the folder icon to browse any folder you want to save on your computer. You can also change languages of the interface. After that, click on “OK” at the bottom right corner. Now activate the red recording button to start recording and then play best father songs online. When the song is done, click on the red recording button again to stop recording. Click on “Media” at the middle bottom and right click the recorded song to choose “Edit Music Tags”. You can add music tags like artist, year and upload and song cover picture. 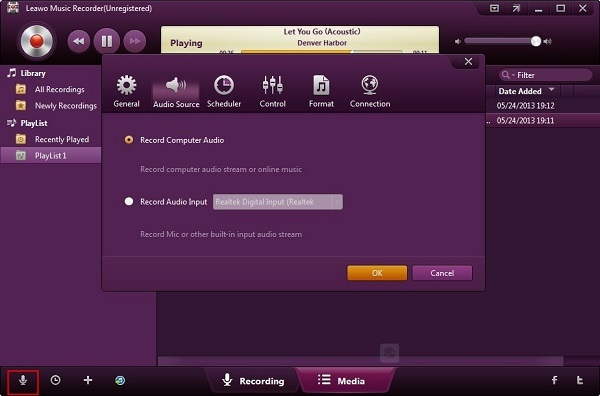 Okay, I think you already get how to download Father’s Day songs online via Leawo Music Recorder. 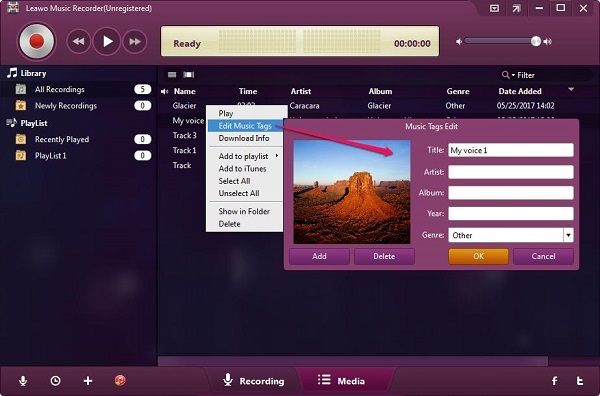 Leawo Music Recorder helps you record songs from any audio source and enable you to modify music tags so that you can have a personalized song. 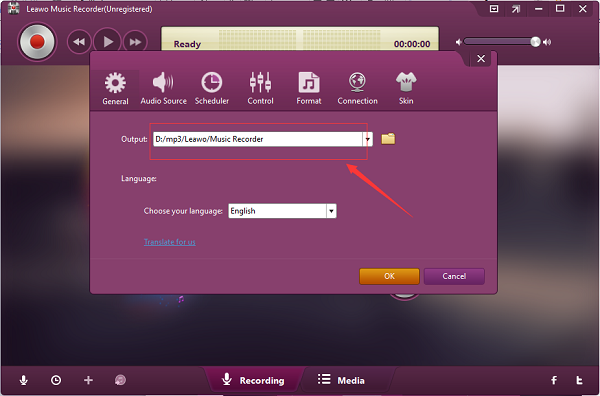 Whenever you don’t know how to download music, you can use Leawo Music Recorder. Trust me, with Leawo Music Recorder, you will discover another wonderland of music.